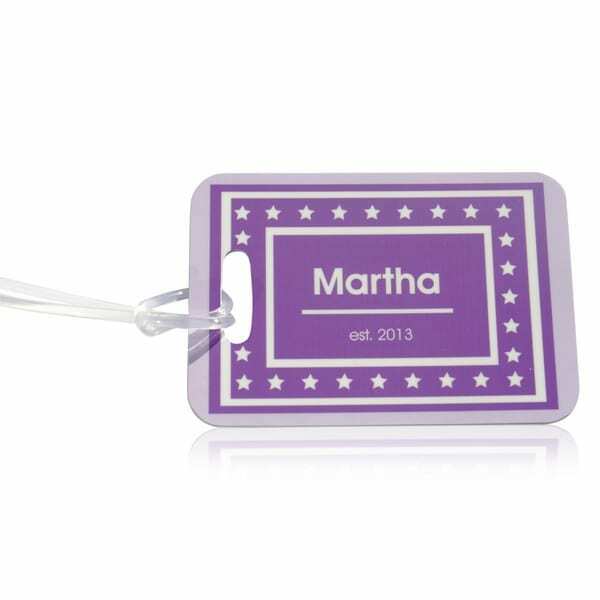 Name it labels offers a stunning collection of custom bag tags suitable for children and adults. 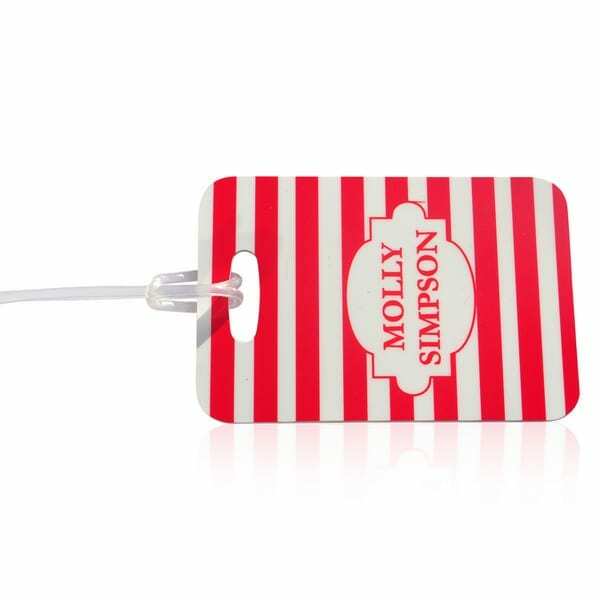 This cute bag tag is sure to stand out for its vibrant colour alone. Our hot pink luggage tag is decorated with adorable flowers in pale pink and lime. Your chosen name will be printed in the middle white section of the tag in clear easy to read print. Name will be printed in pink text to match the printed luggage tag. With up to 2 lines of text available to personalise the tag, you may wish to add a class name, school name or a phone number. Or simply use both the lines for the chosen name. Accents can also be printed. Please be aware that the longer the text the smaller the print will appear. Children love seeing this cute bag tag on their bags, and parents love the fact it helps to avoid any unfortunate mishaps of bringing home the wrong bag. 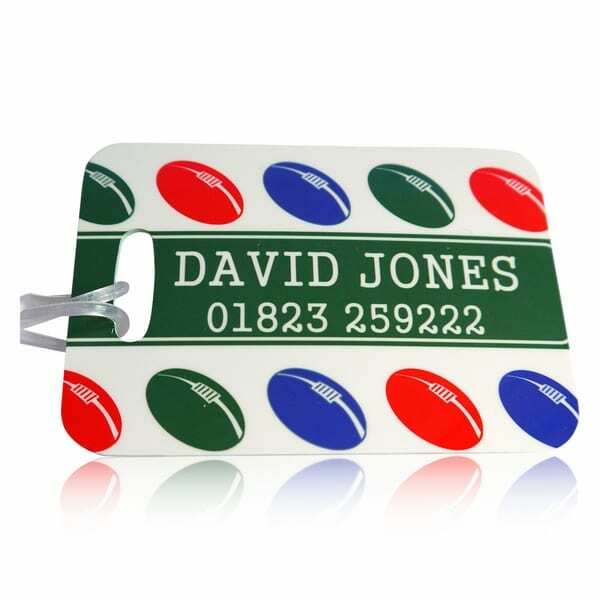 Printed luggage labels and tags are perfect for school bags, sports bags, overnight bags, music cases or holiday cases. After all in a crowded cloakroom it is so easy to pick up the wrong bag. But by adding custom bag tags to your bags, you lessen the chance of this happening. We all know the importance of making sure everything is clearly named so why should bags be any different? Our custom bag tags are all individually hand printed in our Somerset studio using the latest printing methods ensuring a fantastic end result. Please do not hesitate to contact us if you have any questions on this product or would like this design in another colour. We are only too happy to help.